It will be interesting to see if this changes how other CR stations approach their key commitments, or how Ofcom deals with trangressions. This entry was posted in Uncategorized on September 29, 2014 by radiohead. 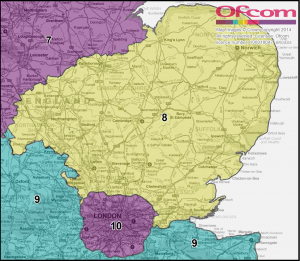 In a surprise move today, Ofcom invited applications for licences to provide community radio services in localities within the East of England together with Northamptonshire and Milton Keynes. It is not known if this tactic is an opportunistic way to bring more radio choice to the East of England a little earlier than expected, or a cynical way to further delay the invitations for London and the South East (originally planned “First half of 2014”). What is obvious though is that Ofcom, maybe inspired by the recent Scottish referendum debate, has re-drawn the map of regions in Southern England compared to what it envisaged in the original Third Round licencing guidance. 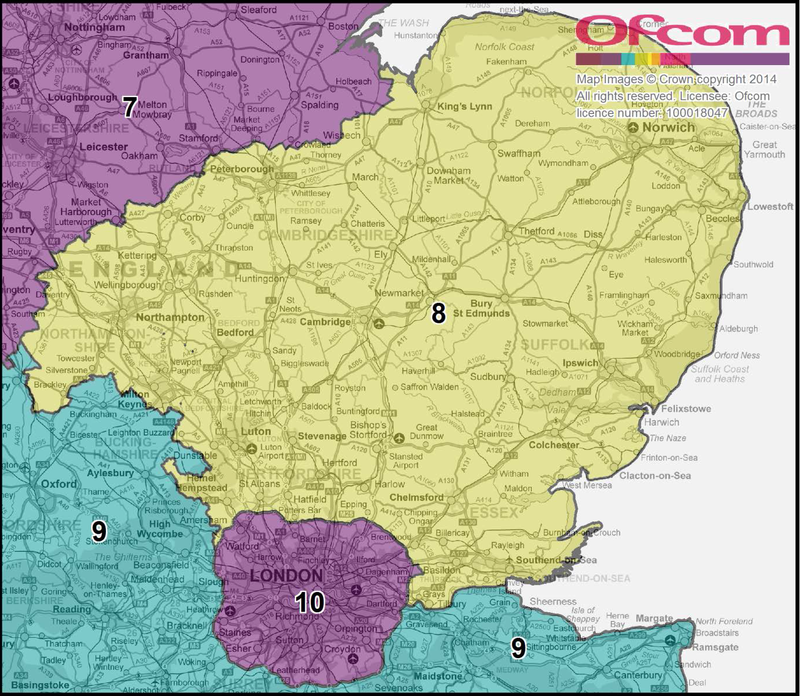 Ofcom has created a new Greater London region 10 (that should get people hot under the collar!) and the old Region 7 for London and South East now becomes Region 9 for South East minus London. In fact this is not new – they did something similar when they invented a new West Midlands region for the invitation earlier this year. What is less of a surprise is the usual Ofcom guidance notes for would-be applicants. It reminds them of the limits on advertising. It also advises on limits to frequency availability, but helpfully suggests that AM frequencies may (not will) be available. Near the end it also lists some poor little commercial stations that need to be protected from the ravages of competition from Community Radio – entertainingly including Heart! Applications for community licences for these areas must be received by 5pm on 16 December 2014. Associated Broadcast Consultants is expecting a busy time ahead – we advised a record number of applicants during the last invitation for the East and West Midlands. This entry was posted in Uncategorized on September 24, 2014 by radiohead.